Be a part of one of Tyson’s biggest events of the year! Promote yourself or your business to thousands of festival-goers—Americans, Persian-Americans, and others from all over—by supporting the most popular Persian New Year (Nowruz) celebration in the Northern Virginia area. Our inaugural festival was attended by over 20,000 people! So if you have a product, service, or food that you would like to exhibit to an eager crowd of thousands, then become a vendor for this year’s Nowruz Festival. It is an incredible opportunity to gain exposure for any product you might be selling. If you’d like to be a vendor for the Nowruz Festival, please fill out our 2019 vendor application and release form (in PDF format). If you’re interested in having your business name appear on banners, brochure and advertisement material, then please contact us directly to learn about sponsorship opportunities. If you’re interested in volunteering to help out with the festival, please call 202.369.1515. 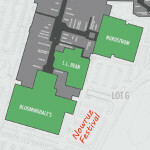 Donations to the Nowruz festival are always appreciated. They help make the celebration possible! If you wish to provide some financial support, please consider donating through PayPal (see the sidebar), the fastest, safest way to send money online.